A mini-anthology comprised of two fan favourites: “The Once and Now-ish King”, originally published in the ForeWord Book Of The Year award nominated When the Hero Comes Home, and “Maddening Science”, originally published in the ForeWord Book Of The Year nominated When the Villain Comes Home. Joining these stories is a brand new, never before released novellette: Just Another Four Letter Word. Good and Evil. Two sides of the same coin? Or something less defined, something more liminal? Entertaining and always thought-provoking, international award-winning author J.M. 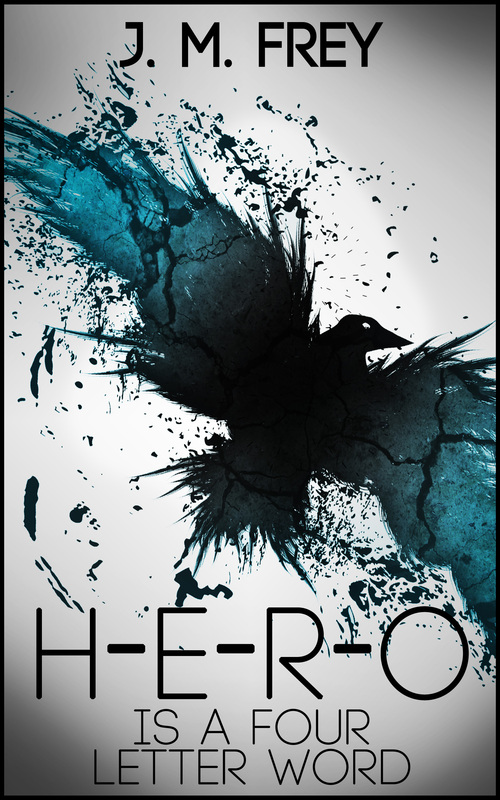 Frey offers three remarkable stories that explore the grey area of the hero/villain dichotomy in this debut short story collection. Funny and irreverent, “The Once And Now-ish King” finds King Arthur reborn at the moment of Albion’s greatest need. Brand new and never before published, “Just A Four Letter Word” follows Jennet, descendant of mythic lovers Tam Lin and Margaret as she tries to navigate the dark legacy that the fairy tale has left to her. And finally, in “The Maddening Science”, a former supervillain is forced to return to crime to save the life of his stalker. Heroes. Villains. Monsters. Fairy Tales. Myths. Legends. Who is the good guy, who the bad, and who gets to decide which is which? After all, ‘hero’ is just another four letter word.